The Prime Minister of Greece Antonis Samaras, accompanied by Deputy Prime Minister & Foreign Minister Evangelos Venizelos and other senior government ministers, will visit Yad Vashem tomorrow, October 8, 2013. 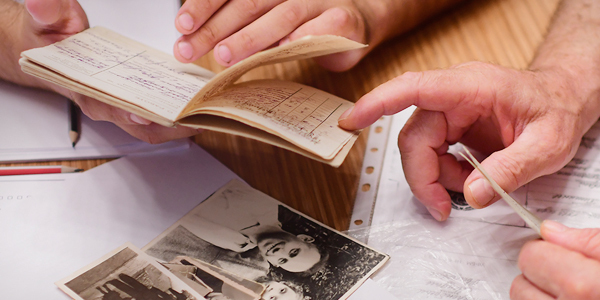 They will tour the new exhibition "I Am My Brother's Keeper – 50 Years of Honoring Righteous Among the Nations", participate in a Memorial Ceremony in the Hall of Remembrance, visit the Children’s Memorial and sign the Yad Vashem Guest Book. There will be photo-ops in the Hall of Remembrance and the signing of the Guest Book. Media who are interested in covering the visit should arrive in the Hall of Remembrance by 9:45, with valid GPO card, and RSVP to the Media Relations Department: 02 644 3410, media.relations@yadvashem.org.il.